I’ve crossed the Hong Kong – Macao – China borders over 20 times now, and have already covered a few of those crossing on here. I aim to make these border crossings seem easy and smooth, which they normally are. On my most recent trip to China, I crossed overland from Lok Ma Chau to Futian Port in Shenzhen, so here’s an overview of that crossing. World Borders: Leaving Hong Kong at Lok Ma Chau. OK, the easiest way to get to Lok Ma Chau is to take the Hong Kong MTR. Locals and frequent visitors will have an Octopus Card (known locally as a “Badatun”) which can be easily topped up and used on journeys. Lok Ma Chau is one of two last stops on the way to China. I say two, because the other one is Lo Wu. This means there has to be a cut off point, and that honour falls to Sheung Shui. 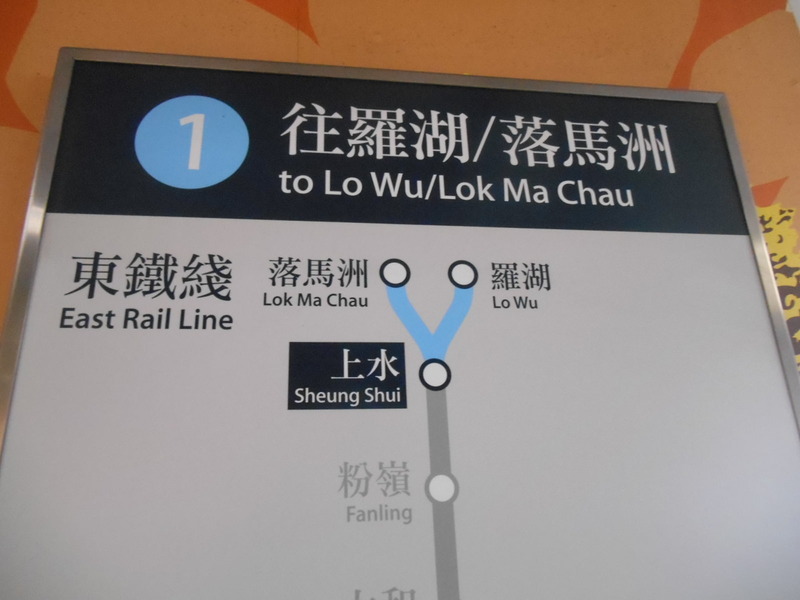 The metro lines fork at Sheung Shui, meaning you can either take a metro line train to Lo Wu to cross the border into Louhu, Shenzhen or you can take a metro line train to Lok Ma Chau and cross the border into Futian Port in Shenzhen. Both border crossings lead to different parts of Shenzhen. Shenzhen, by the way is MASSIVE. 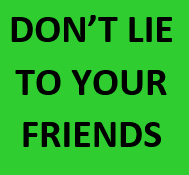 Don’t forget that. I’ve been to Shenzhen about 12 times now and hardly seen any of it. 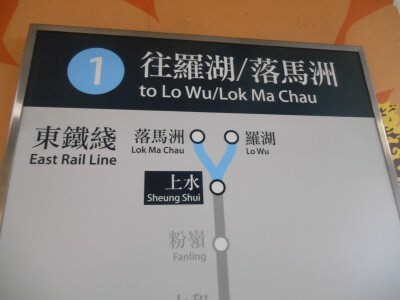 The Hong Kong MTR system to Lok Ma Chau. OK so one option is to get the Metro to Sheung Shui (You’ll board the train at Kowloon Tong or Hung Hom, most probably). 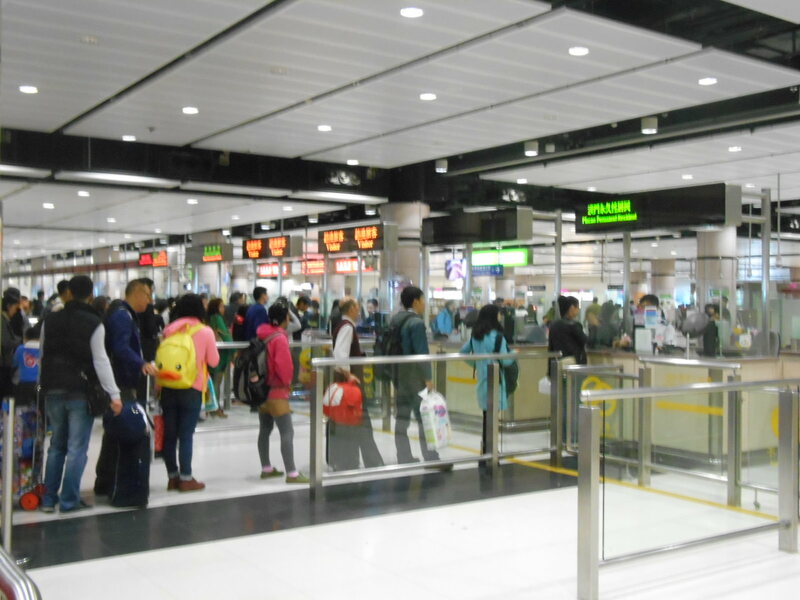 Get out of the train and leave the station at Sheung Shui, swiping your octopus card. Hang around for 30 minutes and go back in and you will save some money on a direct trip. I always do this as I usually have the time to kill here. It gives me a chance to grab a bite to eat, a beer and also change my money. You can get your Hong Kong Dollars changed into Chinese Yuan/RMB here. Don’t do it in a bank though, head to one of the exchange shops in the side streets – better rates! 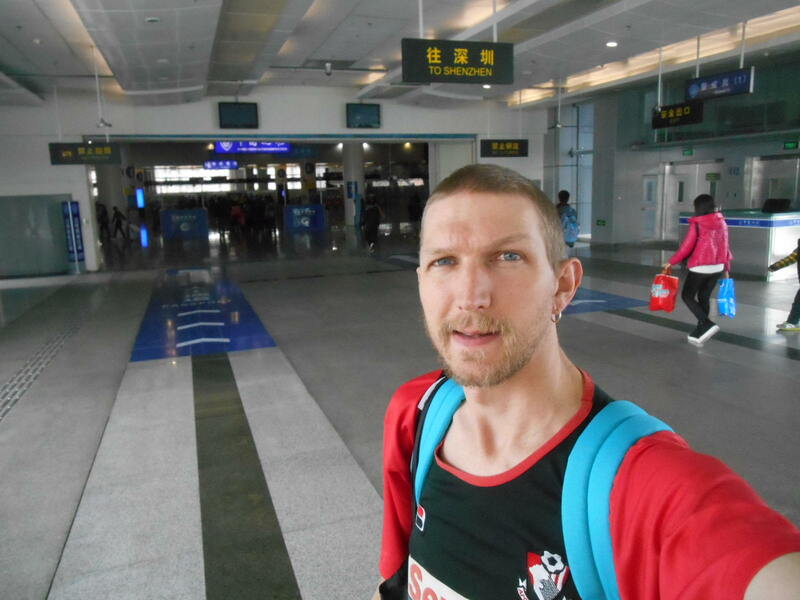 Sheung Shui – good place to get your money changed before hitting China. Then get back on the train from Sheung Shui to Lok Ma Chau. 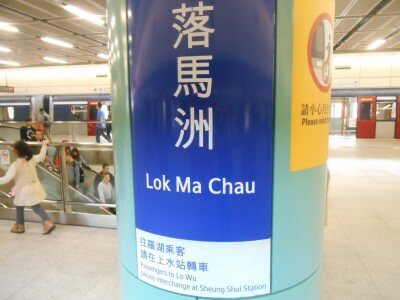 Make sure you check the train destination, as I said earlier the trains from Sheung Shui go to either Lok Ma Chau or Lo Wu, so take your pick. This article is about Lok Ma Chau so choose that one! 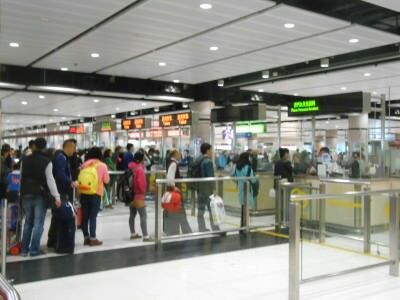 There are two ways you can go to the border from Sheung Shui – we’ll concentrate on Lok Ma Chau for this post. This Hong Kong to China border at Lok Ma Chau is different from the Huanggang, Lo Wu and Kowloon Express borders I spoke of before. The reason is, everything is done inside a building that links Hong Kong to China via a massive bridge with windows. You can see yourself crossing the border. 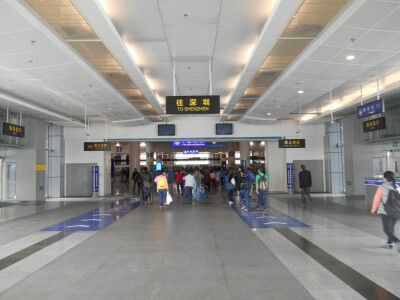 The immigration part in Lok Ma Chau, Hong Kong just before leaving. 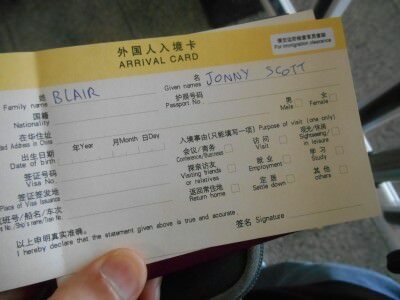 To leave Hong Kong, have your ID card and passport ready, preferably with your departure card on you to hand in. If not, fill in a new one there and then. 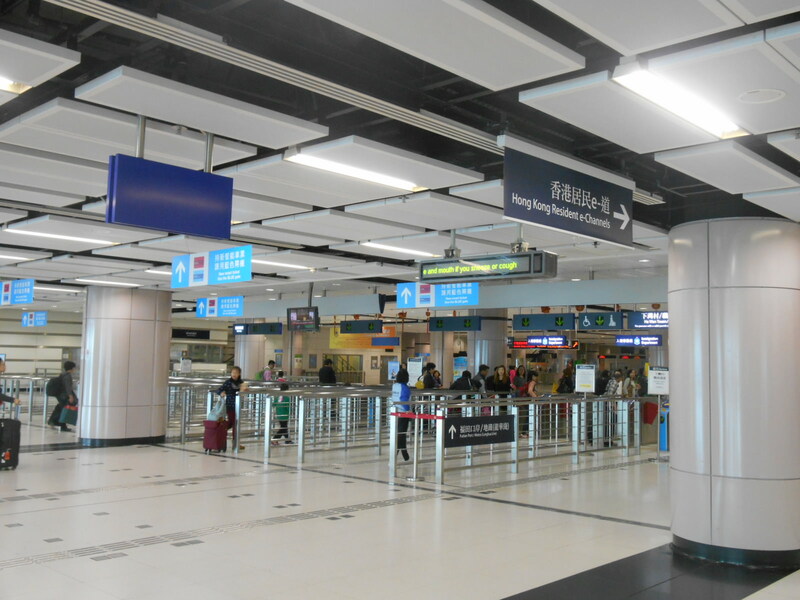 There are separate lanes for Chinese Nationals, HK/Macao Nationals and Foreigners. It’s no surprise that the foreigners one is the less used, and the longest queues. 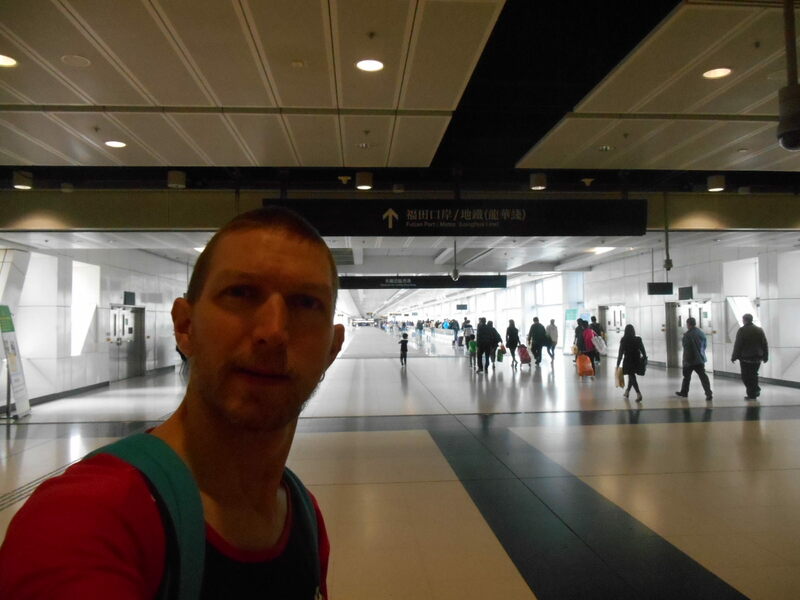 Just about to cross the bridge and moving walkway border from Hong Kong to China at Lok Ma Chau (I’ve just left Hong Kong in this photo). Once you’re stamped out of Hong Kong, you head onto a bridge over a river, with two moving walkways on it. Yes, you are crossing a border on moving walkways here!! Cool or what, and probably a first on my World Borders Series! Makes a change from the borders by boat, borders by train and walking across borders into Peru! 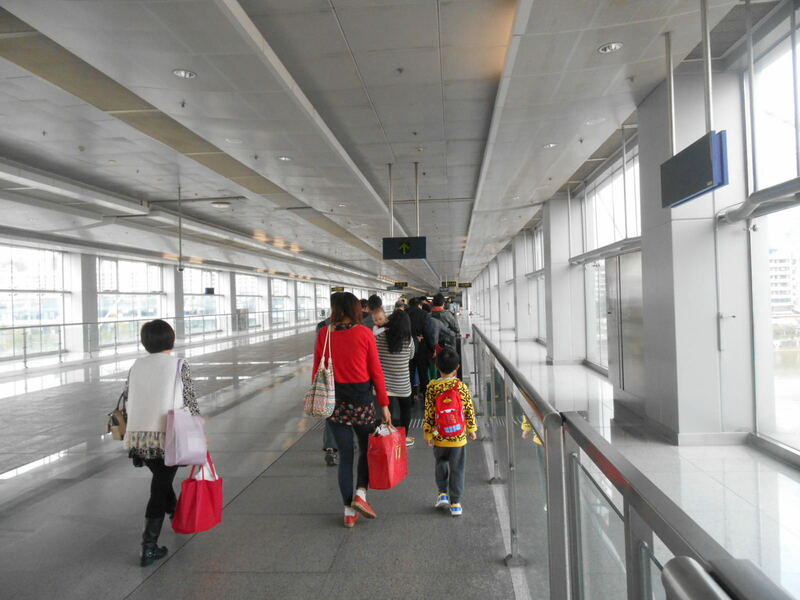 The moving walkway from Hong Kong to China at Lok Ma Chau. At the end of the second moving walkway sits China. 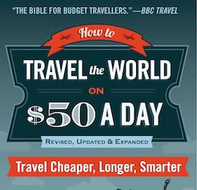 A less frantic introduction to the country than most you’ll ever encounter, if truth be told. Grab an arrival card, fill it in while you queue and you’ll be stamped entry into China. Fill in your arrival card to go with your Visa. 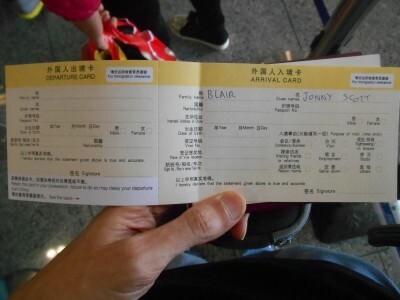 Arrival and Departure card for China. Don’t forget to have your China Visa in advance (though temporary short term visas are actually available for a few days for some nationalities – I don’t do that – I visa it in advance). Again a different line for foreigners than for the Chinese and it will take longer. Put your bags through the scanner and possibly a quick body check and you’re in China!! The entrance to China! Futian Port, Shenzhen. A selfie/self taken photo just before I head to Chinese immigration at Futian Port, Shenzhen. 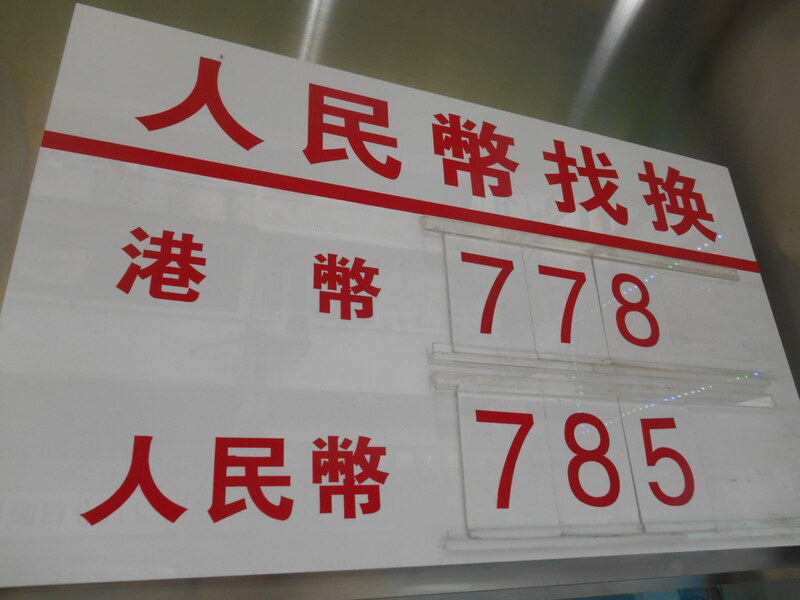 I wont’ lie to you and tell you that Shenzhen is relaxed. It’s not. It’s crazy. 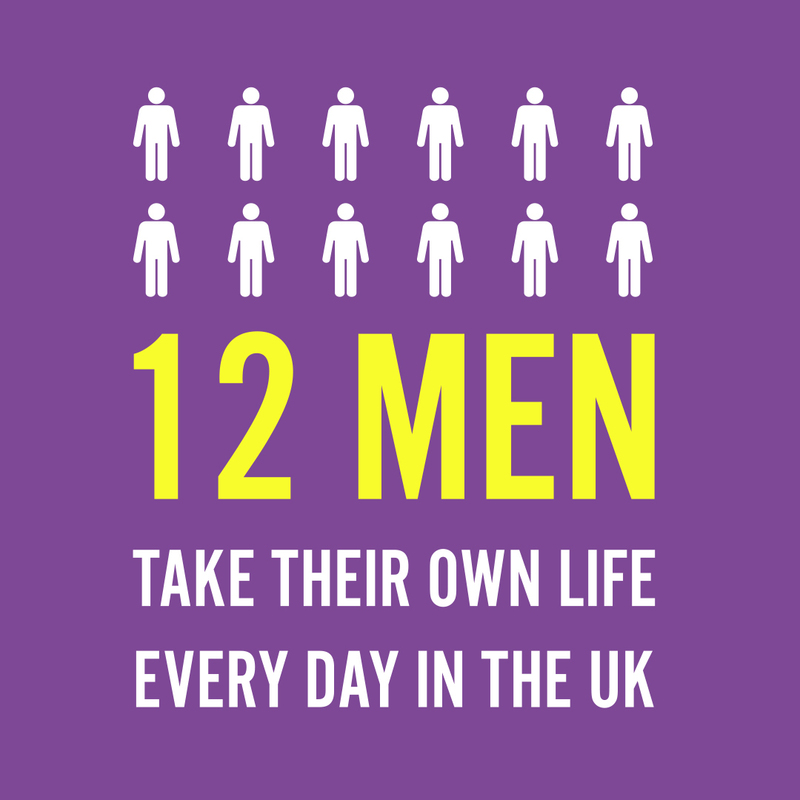 It’s simply manic. People everywhere, a city much bigger than Hong Kong. Not much English spoken. Not much respect for foreigners compared with Hong Kong. In fact, for a newbie traveller the contrast between Hong Kong on one side of the bridge and Shenzhen on the other will be simply staggering!! I guarantee it!! Don’t be fooled by this photo taken on arrival at Futian Port – Shenzhen is manic! But remember this is China and it is a totally beautiful and breathtaking country, one which I talk so positively about on here. One which I have explored a lot and hope to do more of. 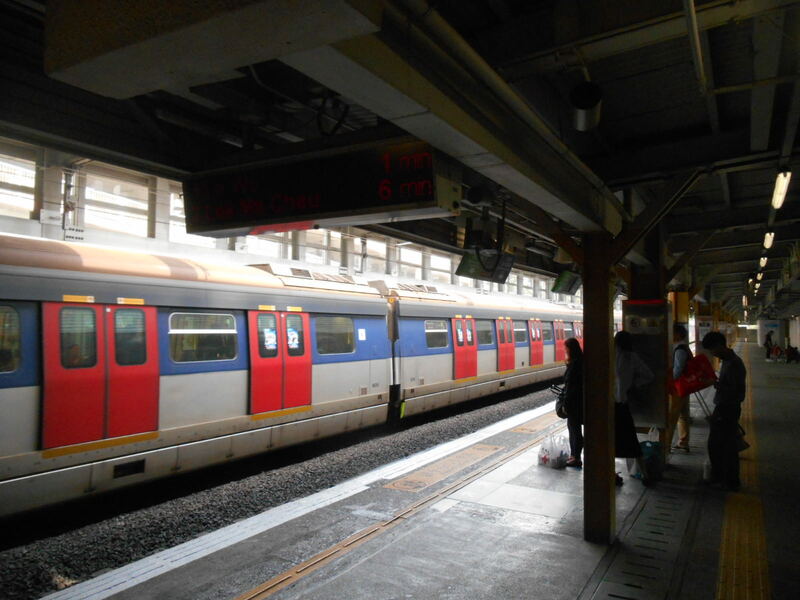 In terms of onward transport on arrival at Futian Port in Shenzhen, head straight onto the metro red line. 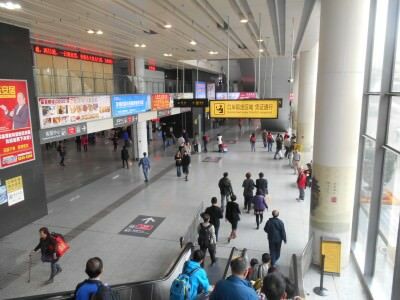 This is helpful for getting to Shenzhen North Station and also for changing trains to get to Shenzhen International Airport and the Window of the World theme park. I hope to continue my Word Borders series soon, with more China stuff! Love it!! This entry was posted in Asia, China, Destinations, Guangdong, Hong Kong, Lok Ma Chau, New Territories, Shenzhen, Sheung Shui, World Borders. Bookmark the permalink. We are planning to cross the border by Lok Ma Chau to take a train from Futian to Guanzhou south and need to exchange money (U$S) to get rmb. 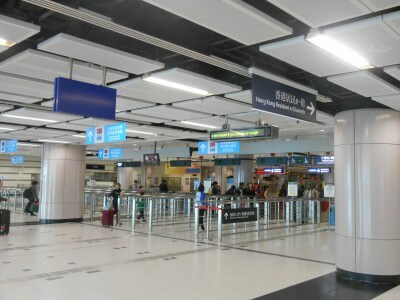 You suggested to stop at Sheung Shui,or is it possible to get money exchange at Futian?